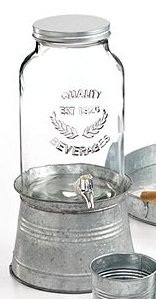 Vintage mason Jar drinks dispenser with galvanised lid and bucket base. 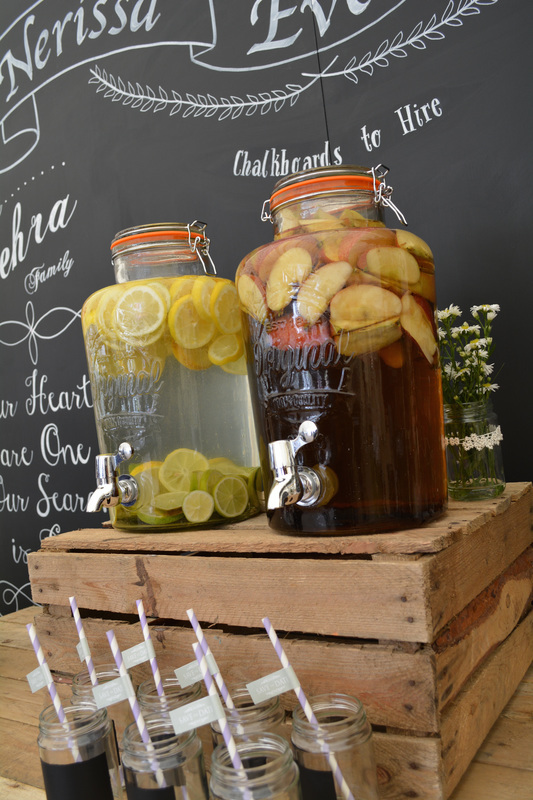 This is the largest drinks dispenser we stock, two side by side will cater for a party of 100 guests. Pictured here in front of our large chalkboard backdrop. 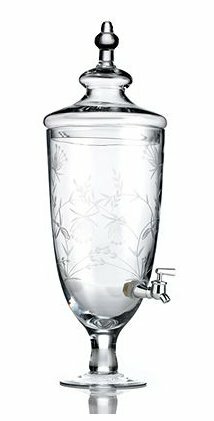 Etched drinks dispenser etched with a pretty floral design, a graceful way to fill your glass. Available with a star etched design and a leaf etched design. 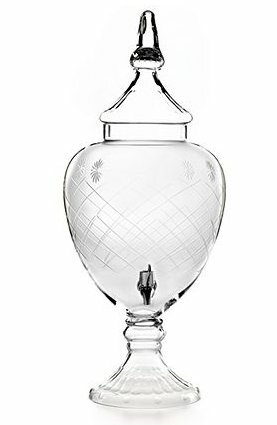 This large drinks dispenser resembles a sweetie jar. 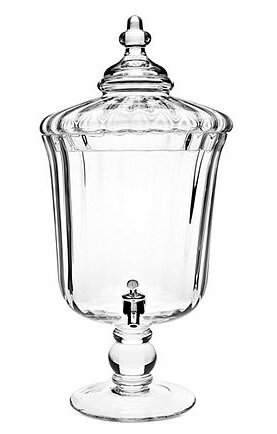 Fluted crystal with a dramatic lid and footed base makes an elegant impression at any party. The tall lid echoes the fluted base. 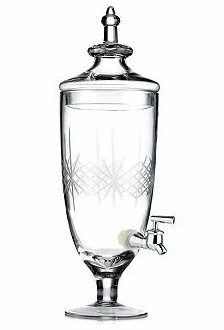 Star Cut glass drinks dispenser. 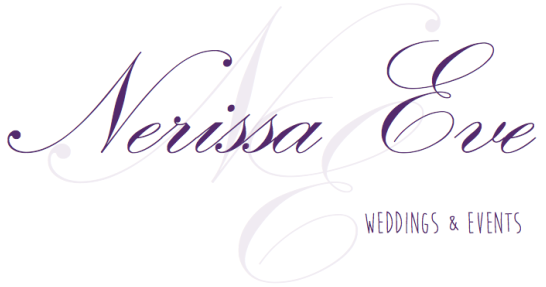 We are based in the Midlands, Market Harborough, Leicestershire. This item can be collected and we also offer a delivery service. Please fill in the contact us form with your location and we will get back to you with a cost for delivery. 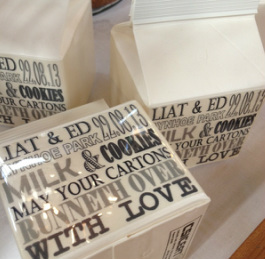 Great idea, offer milk and cookies to your guests as a parting favour, great for the little ones but adults love it too! Contact us to discuss the design for the milk cartons and cookie bags. 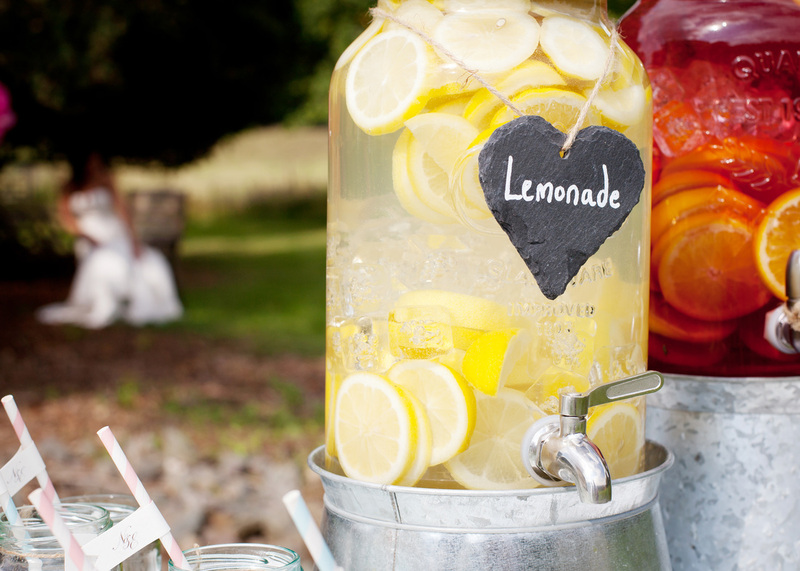 Drinks Dispensers are great for parties, weddings and events. 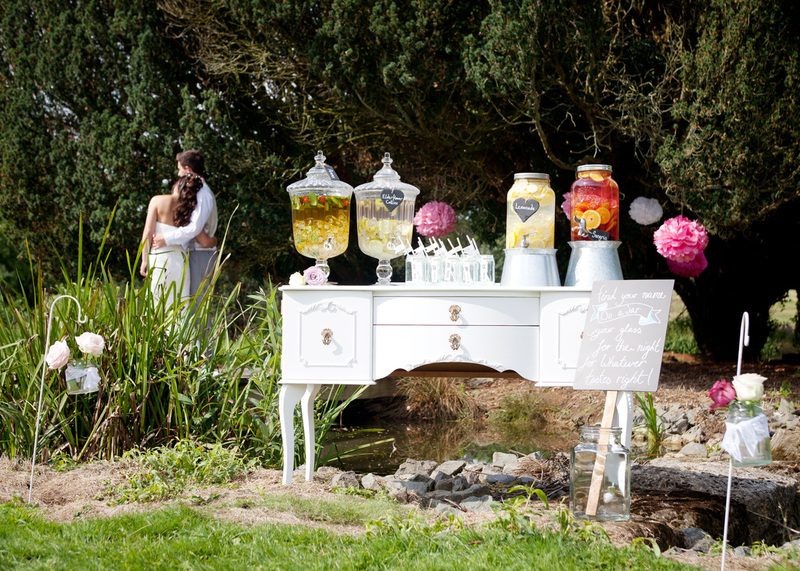 Perfect for your cocktail hour, a drinks table offers your guests a little diversion and they look great! 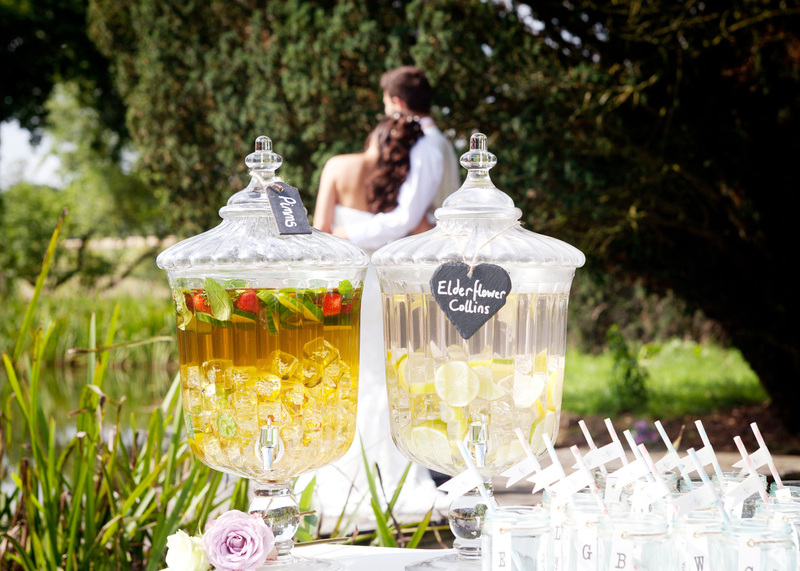 Our range of Vintage drinks dispensers work well with Jam Jar cocktail glasses, add a monogrammed straw and a little chalk board square to the jam jar for your guests to write their name on for a bit of fun. 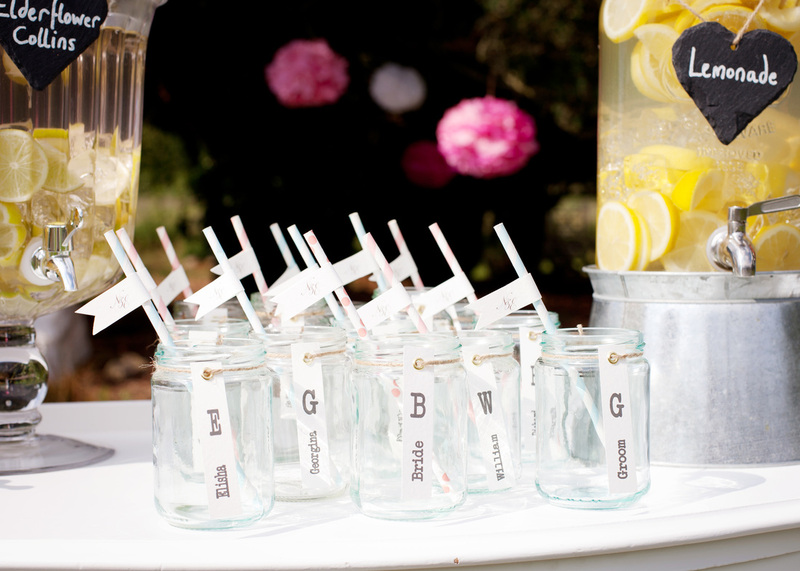 We hire the jam jars (40p per jar without blackboard square & 50p per jar with blackboard square).